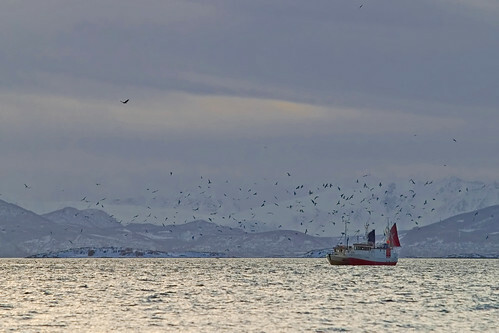 This is typical Norwegian fishing boats and all the seagulls want a piece of their catch. If you look closely you can see a white-tailed eagle flying above the seagulls on the left side. The city of Harstad is in the horizon. Great photos! This one happens to be my favorite so far!